Get 2 Free Trips when paying with your Tallinja card! We employ over 1,000 professional drivers who go through rigorous training to obtain their international Certificate of Professional Competence. We are committed to improve our bus users’ experience. 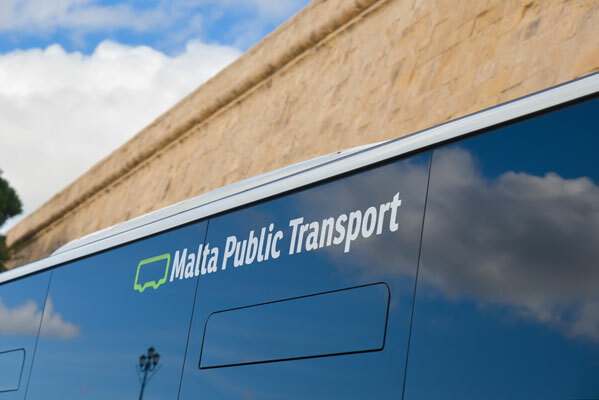 Malta has never had such a modern bus fleet. With the latest technology when it comes to diesel engines, our fleet is environmentally friendly and efficient. This offers our bus users an added benefit by contributing towards a better environment when travelling by bus. Safety is a top priority. Our buses are constantly on the road and we are responsible for the safety of our employees, passengers and of the public in general. With 5,200 bus trips done every day, we all have a major role to play when it comes to road safety. Besides having low emissions, all our buses are low floor with easy access for anyone with wheelchairs and pushchairs with priority seating for those in need. We have audio and visual systems announcing the next bus stop on every bus. We also offer different fare structures to disabled persons, elderly persons, children and students thanks to our personalised tallinja card. This is all part of our commitment to promote mobility within our community.